Fans awaiting Spawn’s return to the silver screen might not have to wait all too longer. In his spotlight panel today at New York Comic Con today, creator Todd McFarlane told the crowd he’s hoping to start production on the movie sometime after Christmas 2017, aiming for a January or February 2-18 start date. The reboot of McFarlane’s fan-favorite indie character was greenlit a few months back as a production of Blumhouse, the studio behind horror flicks Insidious and Get Out. 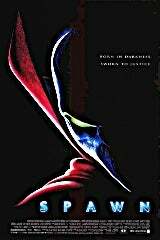 Fitting enough, McFarlane will be making his directorial debut on the movie, one in which he wrote the script for. McFarlane started digging into some of the details surrounding the reboot in today’s panel, sharing a few tidbits on how he wants the movie to turn out. McFarlane said the movie will be a “dark film” and a drama that will be relatable so as not to require you to suspend too much disbelief. Of note, McFarlane and soon-to-be filmmaker revealed the titular character will never be fully shown in the film. Wrapping up his panel with the traditional Q&A session, McFarlane doubled down on being the director of the film. The new Spawn movie is still without a release date.